Prime Minister Jacinda Ardern has had her best result, while National Leader Simon Bridges has had his worst, in the preferred prime minister category of the 1 NEWS Colmar Brunton Poll. 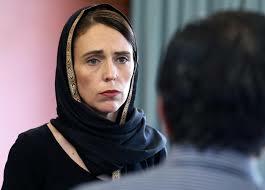 The poll was conducted between April 6 and 10, after the Christchurch terror attack and Ardern’s visit to China. The survey saw1009 eligible voters polled via landline and mobile phone. The maximum sampling error is ±3.1%-points at the 95% confidence level.